In 2012, Illusione’s Dion Giolito introduced this cigar as a small batch exclusive to his Fumare store in Reno, Nevada. In 2013, a second La Grand Classe Rex debuted. This year, the cigar is back as an Illusione-branded line in a petit corona format with a Ecuadorian Habano wrapper around Nicaraguan binder and filler tobaccos. Today, I’m smoking my last cigar from an original box of the 2012 release. The un-banded cigars came in a cardboard box with simple stickers for the logo and seal. 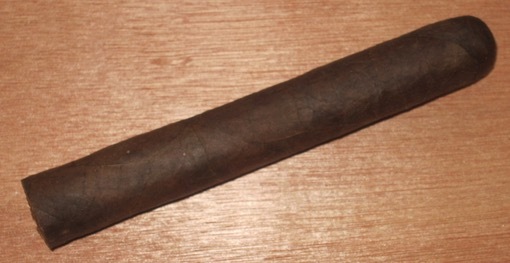 La Grand Classe 2012 (5.5 x 52, $5.99) features a dark Mexican wrapper with some notable water stains around Nicaraguan tobaccos. The medium- to full-bodied cigar burns flawlessly with charred oak and earthy flavors with ginger and pepper spice. I wasn’t a huge fan of these when they were first introduced, probably in part due to my general aversion to Mexican wrapper leaf, but age has made me appreciate this cigar.